Beautiful custom built home perfect for the most discriminate traveler. This amazing home has granite countertops, a Viking range, hardwood floors, a downstairs family room with trundle beds/sofa combo and wet bar, gas burning fireplace, huge master suite with jacuzzi bath tub, gas burning fireplace, and more. You will feel right at home with all the comforts perfect for groups and families. 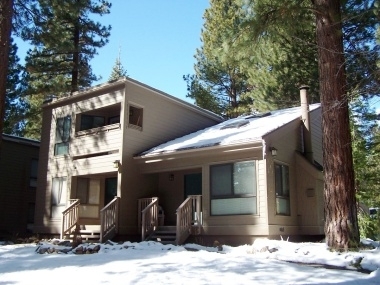 The home is located in Tahoma only 5 minutes to Homewood Ski Resort and Lake Tahoe's scenic shoreline. Everything you want is waiting in this one-of-a-kind home. Book now for the vacation of a lifetime! Bedroom 3 1 Queen, 1 Single/Twin, 1 Pullout	 5 Bunk bed: single bed on top, double on bottom.